You can make a great first impression with your entry doors in Chicago. Whether you’re interested in fiberglass or steel entry doors, we have many customization options available. Combine that with their energy efficiency, strength and durability and you have the perfect front door for your home in Chicago. Learn more about our entry doors below. 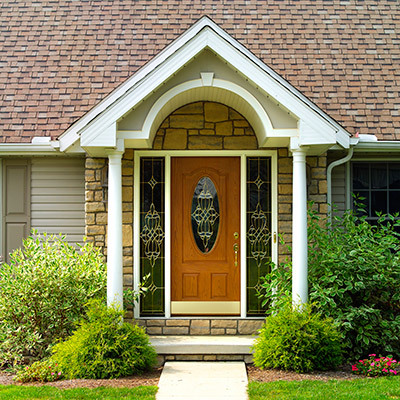 Are you looking for a front door for your home in Chicago? 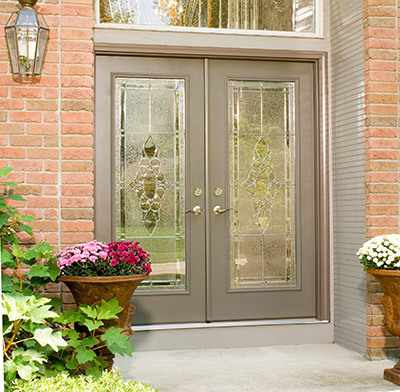 A fiberglass entry door is a great option. They’re the perfect combination of beauty and durability. Fiberglass entry doors are built to withstand Chicago’s weather. Unlike wood entry doors, they won’t warp, rot or expand when exposed to moisture. They also will stand against rain, snow, hail and heavy wind thanks to their hardwood stile and polyurethane core. 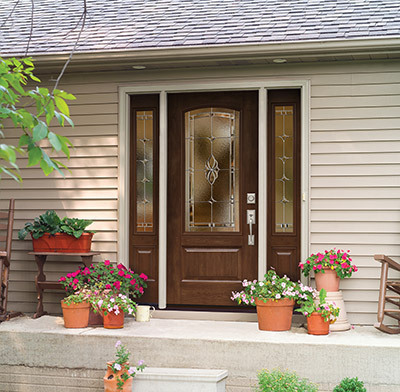 Years from now, your fiberglass exterior door in Chicago will look as beautiful as it did the day it was installed. 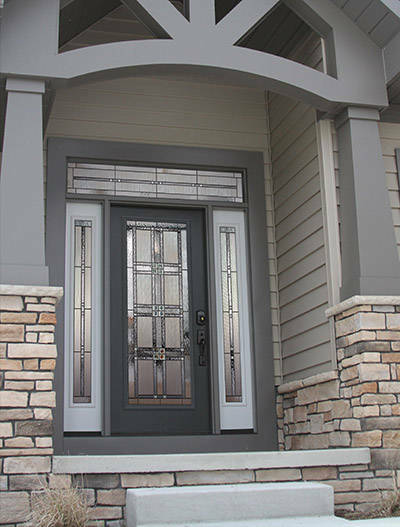 You can completely customize the look of your fiberglass entry doors with different decorative glass, hardware and color options including wood grain finishes. You can have the look of authentic wood without having to worry about durability. Maybe a steel entry door is more your style. Our steel entry doors are strong, durable and look great too. Feldco’s steel front doors are extremely strong because they’re made of 24-gauge steel. They won’t bend or dent and they’re resistant to fire, warping, rotting and cracking. Chicago’s weather is no match for our steel entry doors either – they can easily handle rain, hail, snow and heavy wind. Just because our steel doors can take a beating doesn’t mean they can’t look beautiful at the same time. With all of our color, hardware and decorative glass options, you can create the steel exterior door of your dreams. If you have a larger door opening, a French entry door will take your home’s entryway to the next level. Side by side doors give your home elegance and beauty you can’t find anywhere else. Our swinging French doors can be made from either steel or fiberglass and have all of the customization options that goes along with them. You’re also able to control how your French entry doors open. They can open either into your home or away from it. This gives you the ability to get a French door without having to rearrange the furniture in your home to clear for the door to open and close. All of our entry door styles have foam insulation to prevent heat or air from escaping your home. This will make your entryway energy efficient and comfortable year round. Not only will your home be more comfortable, but you’ll save money on your energy bills. By trapping heat or air in your home, you’re removing stress from your air conditioner or furnace and they’ll use less power.